A cutting-edge, advanced appetite suppressant, metabolism booster, and energy enhancer...all in one. Premium Diet Patch is a cutting-edge, advanced appetite suppressant, metabolism booster, and energy enhancer...all in one. With Premium Diet Patch, there are no more starvation diets and no difficult and dangerous exercises. It works all day and all night long! Just place a new adhesive skin patch on your body, each day for continuous, safe, and effective weight loss. Much like a Nicotine Patch which takes away your craving for cigarettes, Premium Diet Patch drastically reduces your cravings for food, so you naturally do not want to over-eat. At the same time, Premium Diet Patch boosts your energy level, and jump-starts your metabolism to burn maximum body fat. Garcinia Cambogia an exotic fruit grown in South India. The extract is used in various foods and pharmaceuticals as it is effective in treating obesity, for reducing cholesterol and controlling appetite. 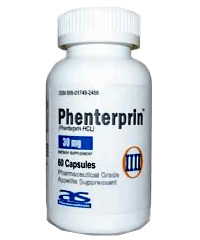 It is a well-established fat burning agent and is known to be beneficial in weight management. The active ingredient of Garcinia Cambogia is hydroxycitric acid (HCA). Hydroxycitric acid is a fruit extract similar to citric acid from oranges and grapefruit, derived mainly from a small, pumpkin-shaped fruit, the Malabar tamarind. Hydroxycitric acid is a natural substance isolated from the fruit. HCA inhibits lipogenesis, lowers the production of cholesterol and fatty acids, increases the production of glycogen in the liver, and suppresses appetite. Fucus Vesiculosis is high in trace minerals. It contains natural iodine to promote a healthy thyroid, it increases the body's metabolic rate, which in turn elevates energy levels and speeds up the body's ability to burn off calories. Fucus Vesiculosis is also known as a promoter of glandular health for the pituitary, adrenal glands, while stimulating blood circulation. Other known actions include the increase of digestion and intestine functions. Guarana is a climbing shrub that grows wild in the Amazon regions of Brazil and Uruguay. It is a high energy source that increases mental alertness, fights fatigue, slows the pulse, decreases the appetite, and is an excellent mood elevator. Guarana also has tonifying properties that can help the intestines and digestion. Menthol is used as an effective topical antiseptic to enhance the delivery system of Premium Diet Patch. It prepares the skin to accept the potency formula. The Premium Diet Patch system represents cutting-edge slimming technology, providing a natural, simple and discreet method of losing weight. Safely helps to reduce weight without missing meals, by stimulating a reduction in food intake. No vital food groups need be eliminated.